“It is wrong always, everywhere, and for anyone, to believe anything upon insufficient evidence.” The philosopher William Clifford said this in 1877, because he was already worried about baseless claims to knowledge. Today, we face new challenges in finding reliable evidence. Social media may lead credulous people to believe irrational and unscientific nonsense, or entrench such beliefs, and serve as catalyst to further spread ‘fake news’ with the speed and reach of the internet. 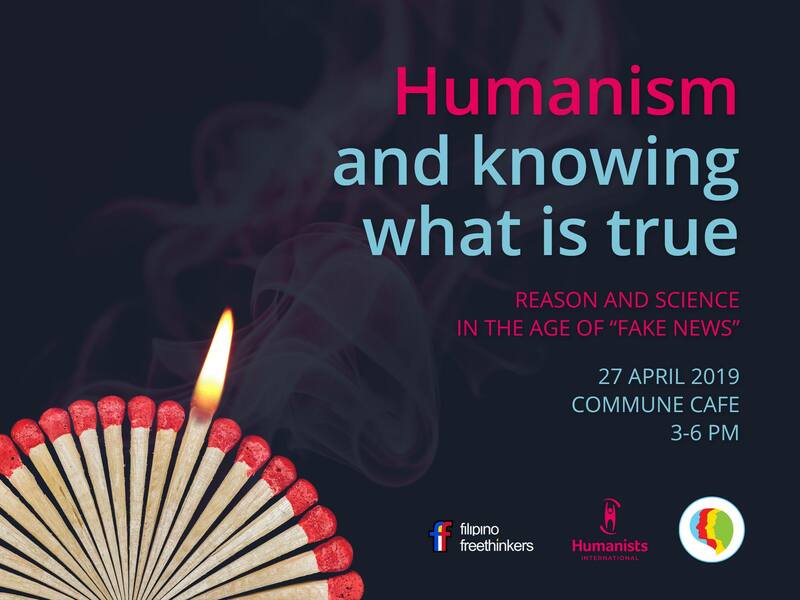 At the third Cafe Humaniste of 2019, Red Tani of the Filipino Freethinkers will explain the dangers of believing upon insufficient evidence, emphasizing the importance of using reason and science in knowing what’s true, the limits of reason and science in convincing others, and the ethical responsibilities of humanists regarding such things. Moderated discussions will follow on the same and related topics.